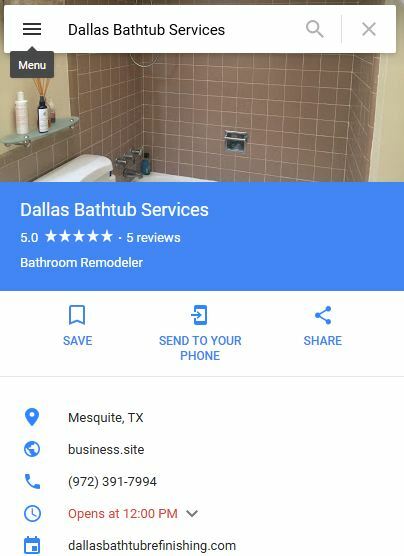 Dallas Bathtub Refinishing Reviews just Click on the image below to see my past reviews. I never give out past customer information for referrals so if you would like to help help me Please take a moment to write a review. It will be very much appreciated!